We start at the mid-point of the exhibition, which brings us to Nalanda, the ancient university and centre for Buddhist learning between the 5th and 12th century. 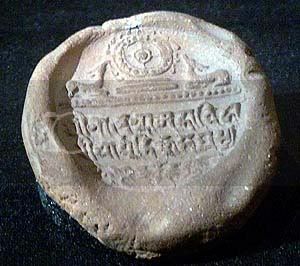 Nalanda was one of the earliest residential universities, with dormitories for students and at its height saw some 10,000 students and 2,000 teachers learning a variety of disciplines from Buddhism to astronomy and mathematics. 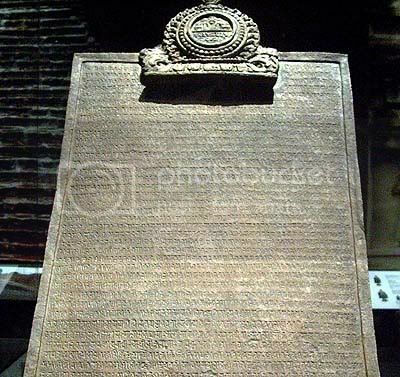 The inscription, dated to 860 AD and written in Devanegari and proto-Bengali script, states that a king of Suvarnadvipa (Sumatra) names Balaputradevi gave an endowment for Nalanda. 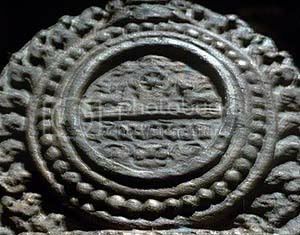 The inscription also notes that Balaputradevi was part of the Sailendra dynasty in Javabhumi (Java, to the east). Nalanda became the brewing pot of several flavours of Buddhism, notably Vajrayana Buddhism, which is now commonly known as Tibetan or tantric Buddhism, and Mahayana Buddhism which was widespread in Southeast Asia until Theravada Buddhism became dominant in mainland Southeast Asia after the 11th century. On the Nalanda Trail features an impressive collection of artefacts, many on loan from the National Museum in New Delhi, India as well as some other museums in the region. In my post about Bujang Valley in Kedah, I had focused more on the later-period Hindu ruins and artefacts. 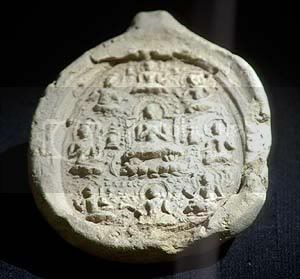 Now I know I featured so few Buddhist artefacts – they were all on loan to this exhibition! The third monk featured in the Nalanda Trail is another aspect of this exhibition that has strong Southeast Asian connections. Unlike the other two monks Faxian (399-414) and Xuanzang (629-645), Yijing (671 – 695) made the journey to India via the sea route, passing through Champa and Srivijaya enroute to Nalanda where he spent 10 years. On his way back to China, Yijing spent six months in the Srivijayan capital (probably Palembang) where he learned Sanskrit, where he also commented and recommended future pilgrims to make a stop there because of the high quality of education. 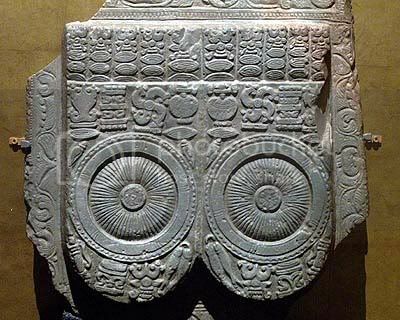 In fact, Yijing’s account is one of the earliest ones to identify Srivijaya in historical records. On the Nalanda Trail is a great, not-to-be-missed exhibition. I’ve focused solely on Southeast Asia here, but I haven’t even scratched the surface on the remarkable specimens of Nalanda International Style of art that made its way to Southeast Asia, and of course the other highlights of the exhibit including rare Dunhuang paintings and even bone relics that are closely associated to Buddha himself! 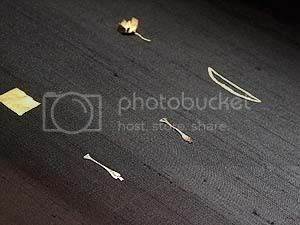 These footprints here are some of the earliest representations of Buddha – that’s right, they are aniconic. 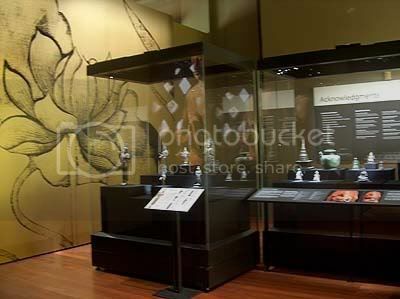 SEAArch would like to thank the National Heritage Board of Singapore and the Asian Civilisations Museum for the permission to shoot and publish these images online. 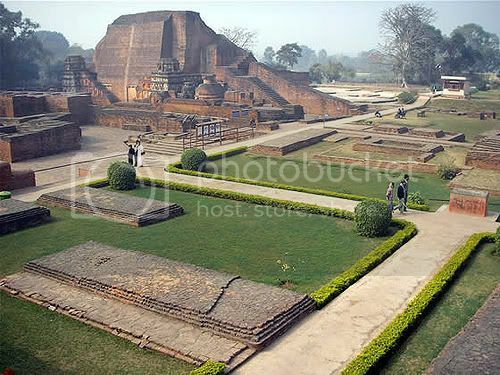 On the Nalanda Trail is on from now until March 2008. Admission is $10 for adults and $5 for students and senior citizens. excellent! wish i were there to see this for myself. maybe it’s time for me to go back… 🙂 you sound like you’re having fun! and keep up the good work! thanks! glad you liked it. there’s another exhibition on Indian art at the National library, so hopefully I can make it there and write something about it as well. yeah, you should come back! the Nalanda Trail is going to be on until March!